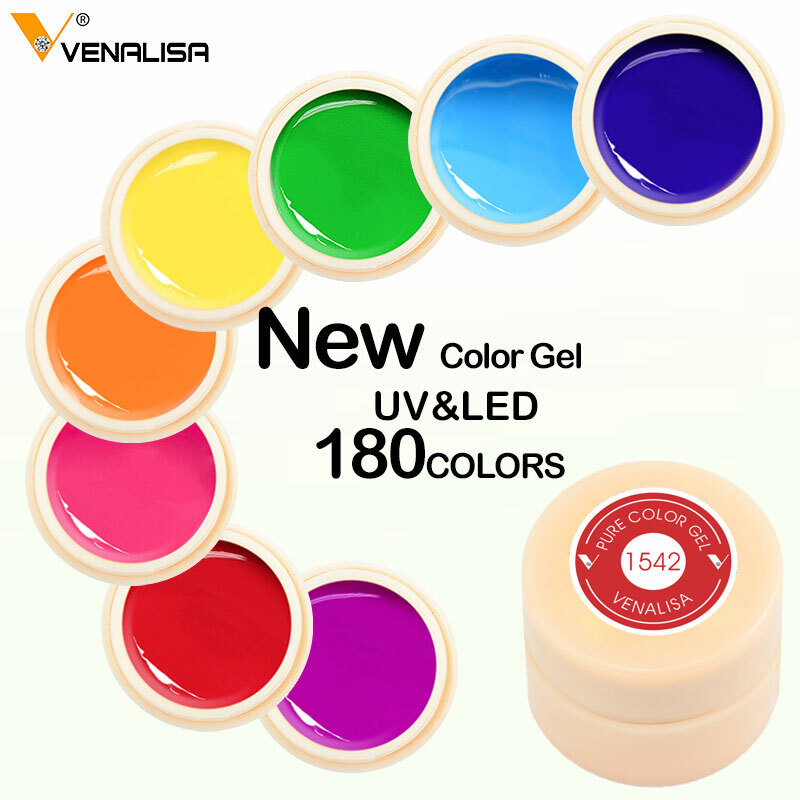 How to use the UV/LED Color Gel Nail Art VENALISA Nail Salon Soak off UV Gel Color? 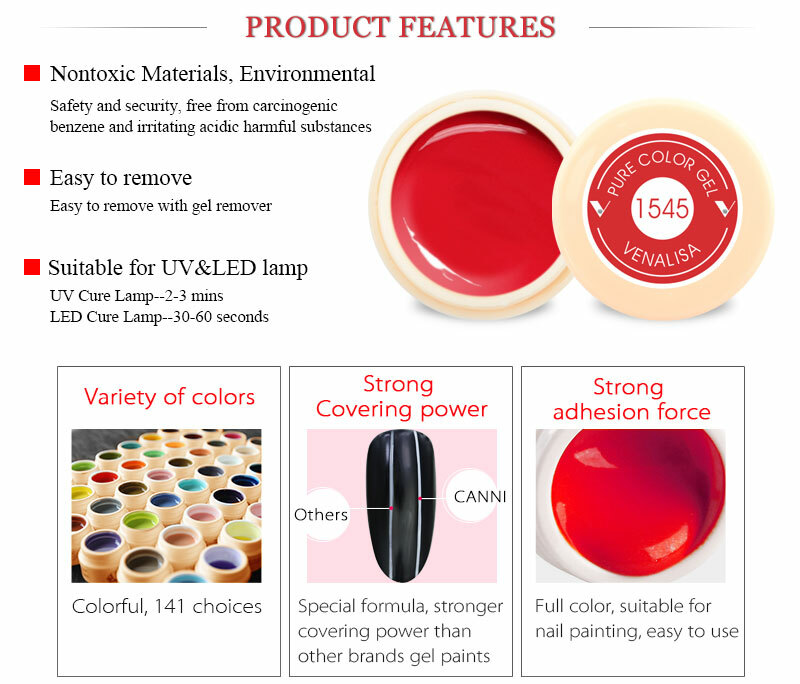 If LED Lamp, curing time should be 30-60 seconds per time. 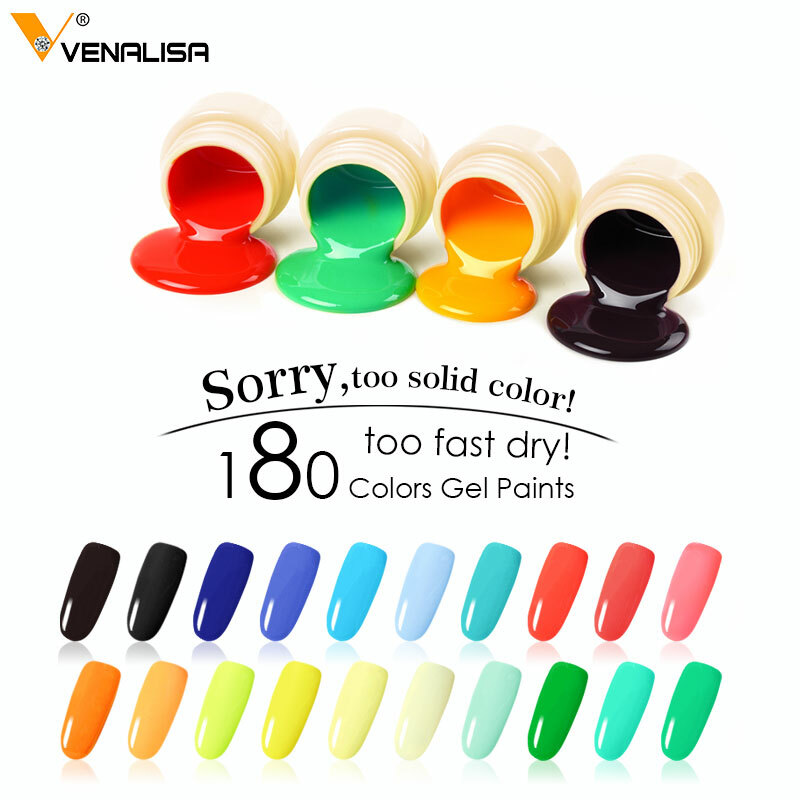 How to soak off the UV/LED Color Gel Nail Art VENALISA Nail Salon Soak off UV Gel Color? Step 1: Soak cotton pad with liquid remover. Step 2: Warp the finger. Step 3: Wait for 2~5min. 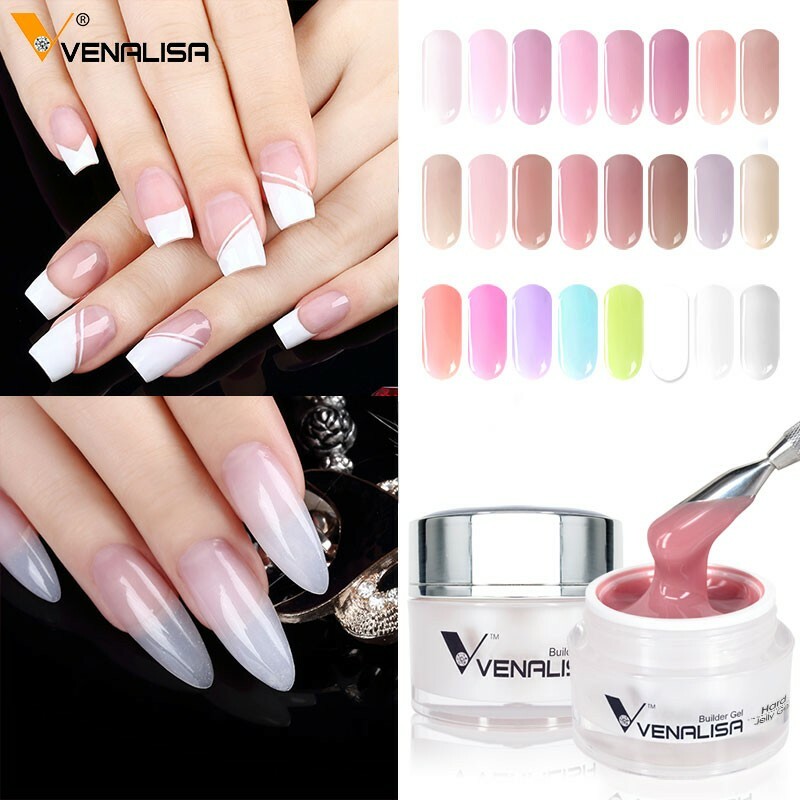 Is there any attention for the UV/LED Color Gel Nail Art VENALISA Nail Salon Soak off UV Gel Color? 1. Keep away from children. 2. Keep away from sunshine and heat. 3. Keep tightly sealed after use. 4. Follow directions for use. 5. 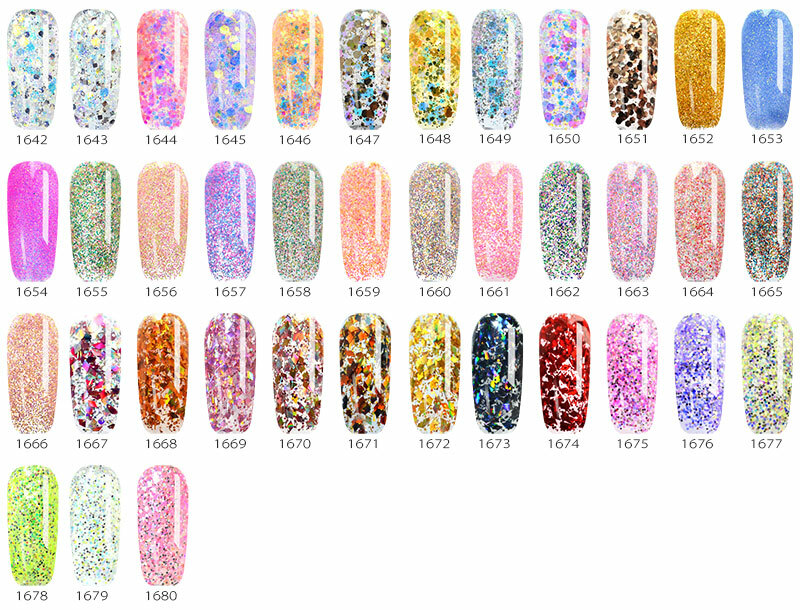 Discontinue use if sensitization occurs. 6. 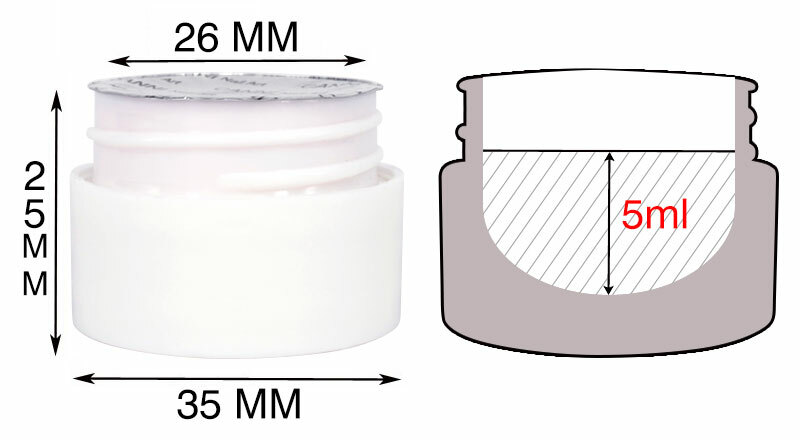 It's normal phenomenon if the gel goes thicker in the case of temp. 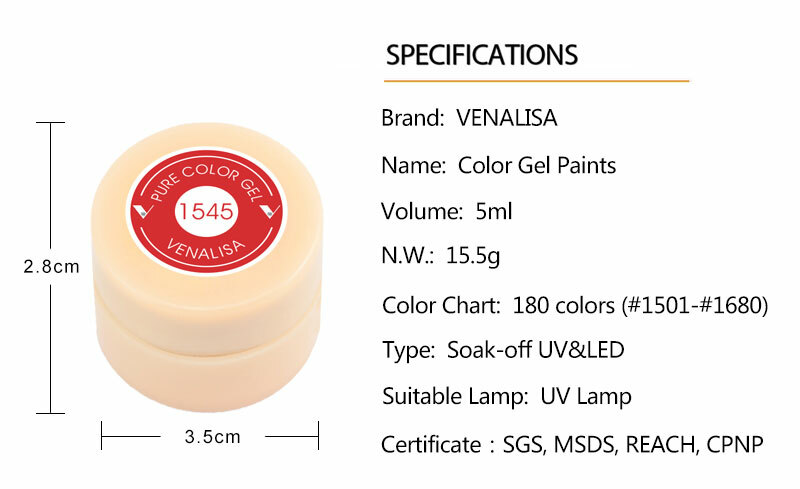 Kindly reminder for color difference: Different light condition or equipment /display will show different color effect.